The Daily Gem Bonus: Update! Turtles! Party! Much More! Hey Jammers. Nothing new today. Just Kidding! Why wouldn't there be an update, today? Today is THURSDAY! - Update Day! First of all there are our, as expected, Turtles! Pretty Cute! And when you click on them it's kinda cool! They go in their shells, and spin around! Kinda like the turtles in Mario. Also if you leave them alone for too long they fall asleep! Pretty cute! And in addition to the new turtle pets, there's a new Pet Party! You need a pet to enter, so it's another member only party. I went there this morning, sadly didn't get any pictures. Nothing much to see, anyways. 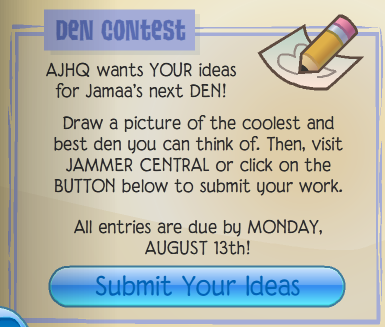 Also, AJ's newest drawing contest - The Den Contest! I'm super excited! You know what this means? 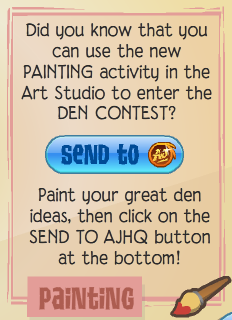 This is our chance to get our precious BETA DEN back! This will bring hopes back to beta testers. 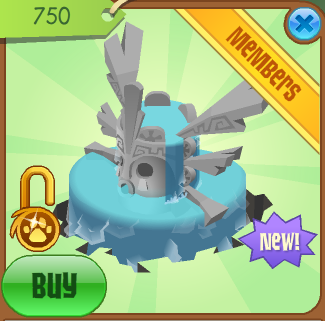 Anyways, the new item is a cool Zios Fountain! Also, I noticed something about the carnival. If you get over 300 tickets, the screen starts to fill up! 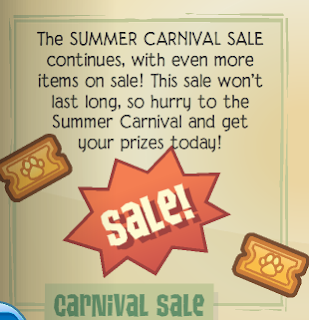 Speaking of summer carnival. There is a sale on! There is also a new mouse, but sadly I cannot take pictures of it. When I print screen the mouse doesn't show. You can send it in! 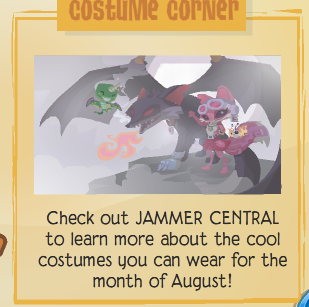 Also there's new costumes for the costume corner! Also, our monthly gift has come! Which one is your favorite? 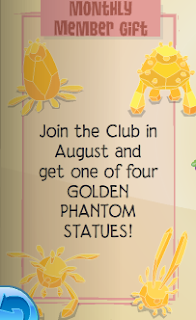 It seems AJHQ is obsessed with gold! Gold and Silver! Well, Thats all for the day! Be sure to enter the contest!